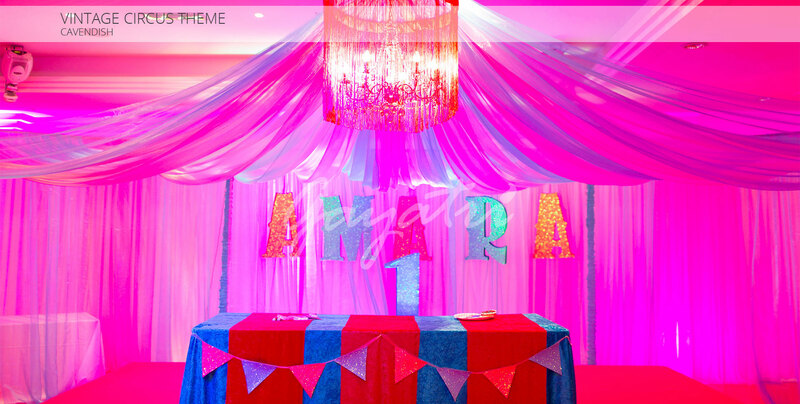 The superb and vibrant Vintage Circus wedding party installation is one of our favourites, and it is the perfect fit for a lively and exciting family gathering – particularly perfect for birthday parties and celebrations for children and younger people. 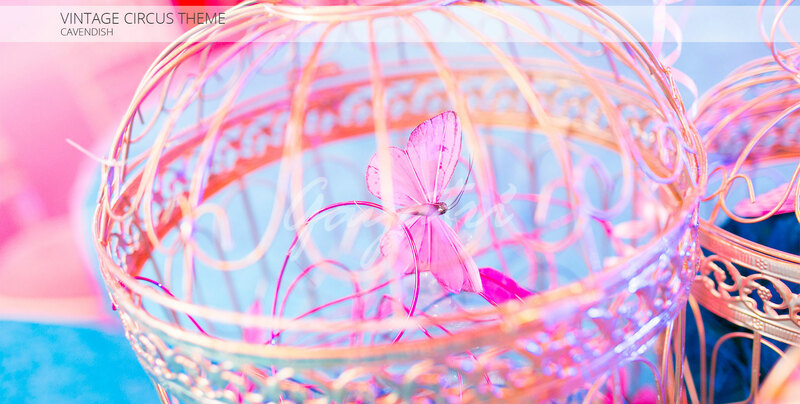 Vintage Circus comes fit to bursting with stunning and exuberant colours, balloon displays, stands and installations, offering a fun and entertaining atmosphere through its unconventional twists on a conventional theme. 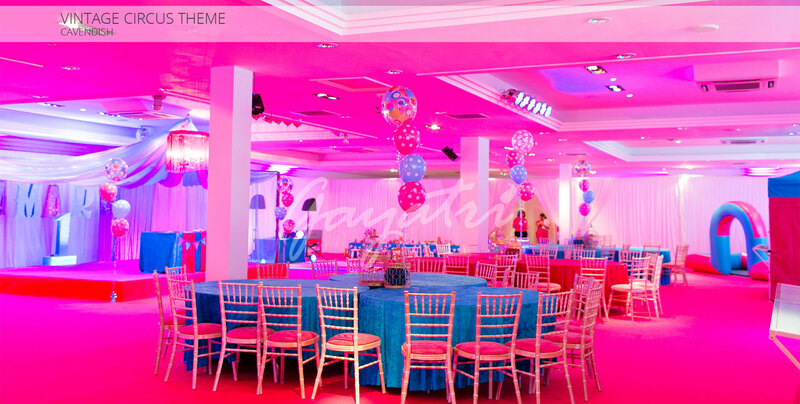 Retaining the luxury and prestige of a formal or family gathering that demands fine attire and sumptuous food and drink, the vivid pink and fun touches that this design brings to the table will allow any guest to let their hair down and relax easily in the carefree and childlike touches applied to a contemporary party or reception gala. 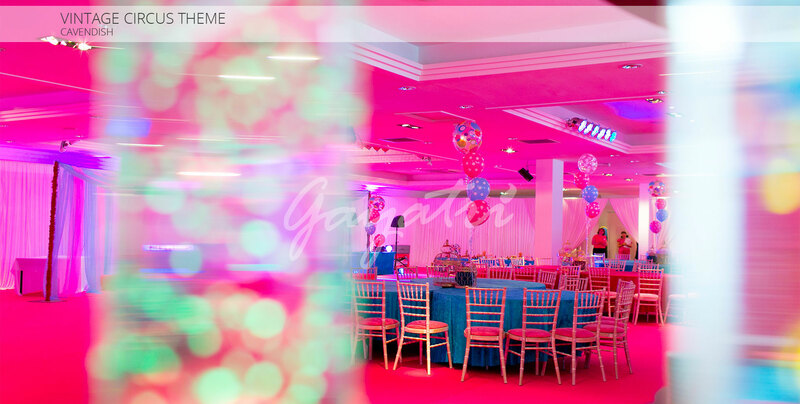 The eye-catching and enjoyable Vintage Circus design is a perfect choice for a birthday party, wedding gala or even a fun-loving couple looking to celebrate an anniversary in a memorable fashion. 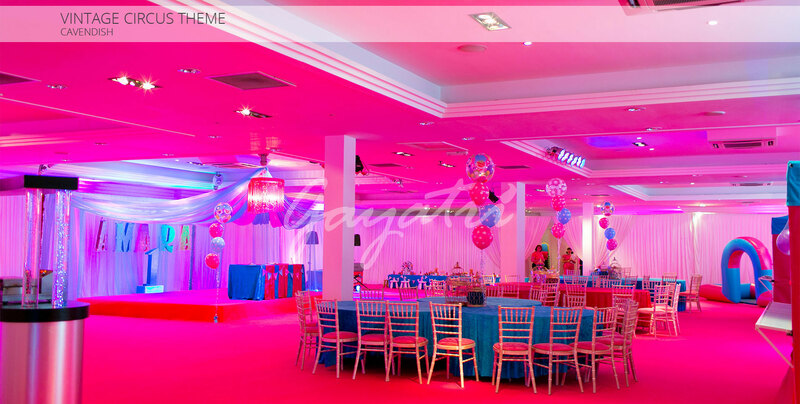 Before the fun has started, this installation promotes a relaxed and happy atmosphere, making it the perfect choice for an event in need of a big gathering or once-in-a-lifetime celebration. Certainly, it remains one of our most popular choices!